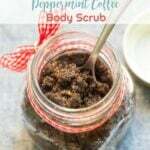 DIY Peppermint Coffee Body Scrub, a healthy and natural alternative for yourself or even better, it’s the perfect gift. There is something special about making your own healthy, chemical free beauty products. Beauty products are a multi-billion dollar industry, unfortunately, some of the ingredients are less than desirable. Have you ever read the ingredients on the back of your favorite products? You might be surprised to find out that your beloved body lotion and face cream are loaded with toxic chemicals. Skip all the chemical additives and make your own healthier beauty products using all natural ingredients, and essential oils. 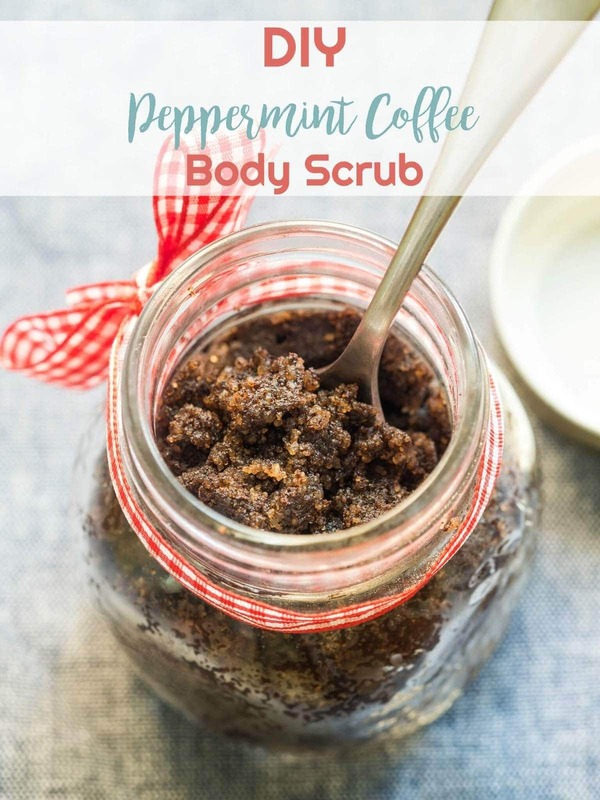 This recipe for DIY Peppermint coffee body scrub is all natural and is wonderful for your skin. 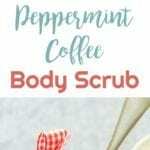 The coffee and sugar are excellent for exfoliation, and the peppermint essential oil is invigorating. 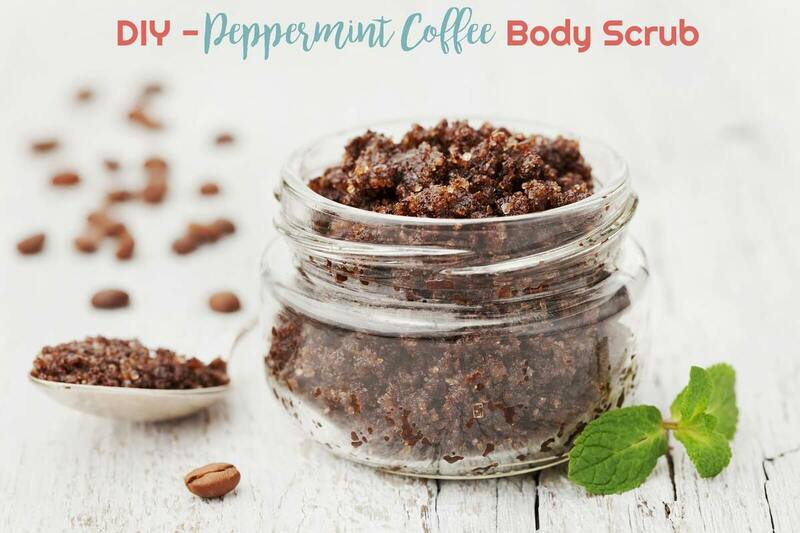 This DIY Peppermint Coffee Body Scrub also makes for excellent DIY Christmas gifts. Spread the coffee grounds onto layers of paper towels and allow to dry completely (approximately 24 hours). Combine the coffee grounds and the coconut sugar in a medium bowl, and mix to combine. Add the fractionated coconut, vitamin E oil, and essential oils and mix well. Divide the mixture evenly between the two jars. This is for use in the shower. Use approximately 1 to 2 tablespoons of the scrub at a time. Rub thoroughly over the skin in a circular motion, then rinse completely.